The Proust Questionnaire, popularized by the French essayist and novelist Marcel Proust, is said to reveal a person’s true nature through a series of probing (i.e., nosy) questions. It the hot seat today: MARCI LYN CURTIS, author of the contemporary YA, THE ONE THING (Disney Hyperion, 2015), and the upcoming THE LEADING EDGE OF NOW (KCP, 9/4/18). What is your idea of perfect happiness? Double-chocolate French macarons. What is the trait you most deplore in others? Disingenuity. What is your greatest extravagance? Getting a massage. What is your current state of mind? Spirited. What do you consider the most overrated virtue? Frugality. Which words or phrases do you most overuse? My copyeditor for The Leading Edge of Now pointed out that I used “couple” well…a couple thousand times. Besides writing, which talent would you most like to have? Singing. What do you consider your greatest achievement? My two kids. If you were to die and come back as a person or a thing, what would it be? An elephant. What is your most treasured possession? The wedding photo on my living-room wall. What do you regard as the lowest depth of misery? Ack. Public speaking. I’d sooner lick the bottom of my shoe than get up on a stage and speak. What do you most value in your friends? Laughter, open-mindedness, and kindness. Who are your favorite writers? Katja Millay and Jandy Nelson. Who is your hero of fiction? Luna Lovegood. Which historical figure do you most identify with? John Lennon. 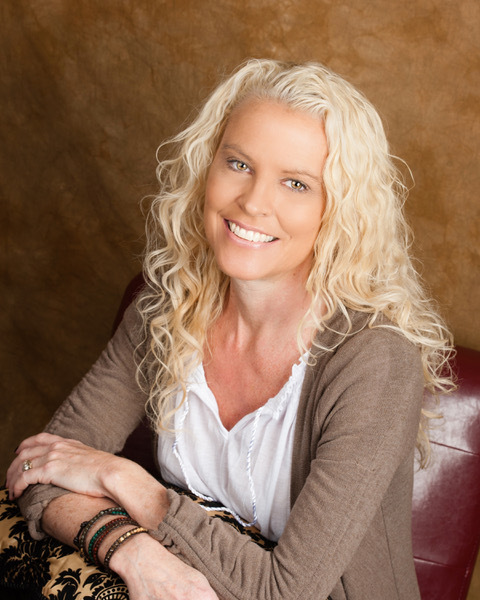 MARCI LYN CURTIS is a critically acclaimed author of young adult dramedies, The One Thing and The Leading Edge of Now. She lives near Tampa, Florida with her husband. Find Marci at her website, on Twitter, on Instagram, or on Facebook. What a fun interview. I learned a lot about Marci! I adore massages too and only wish I could get them more often. I am often second guessing myself (and third and fourth guessing). Thanks for sharing. 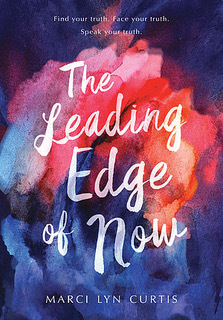 The cover for The Leading Edge of Now is beautiful. Best of luck! Learning about Marci is always fun. Thanks for reading and commenting on her interview!